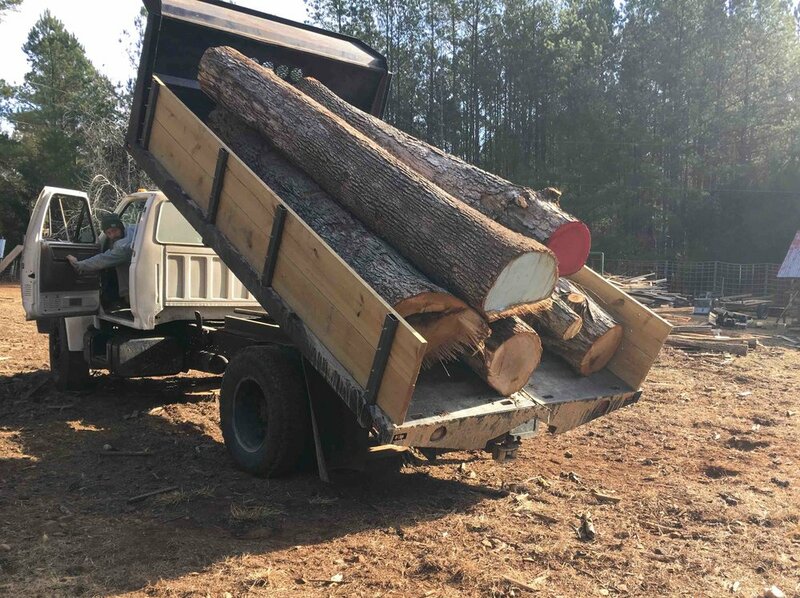 At Fireside Farm, we use a portable sawmill to turn local trees into high-quality building materials. Our mill can work with logs from 6' to 20' long and 6" to 36" wide. With a 1/8” kerf, we can cut thicknesses ranging from veneer to timber frame beams. We cut logs into both conventional and unique dimensions. For lot clearing, we partner with local arborists and excavation specialists who can bring your logs to us. We offer portable mill services in Orange, Alamance, Chatham, and Durham counties. 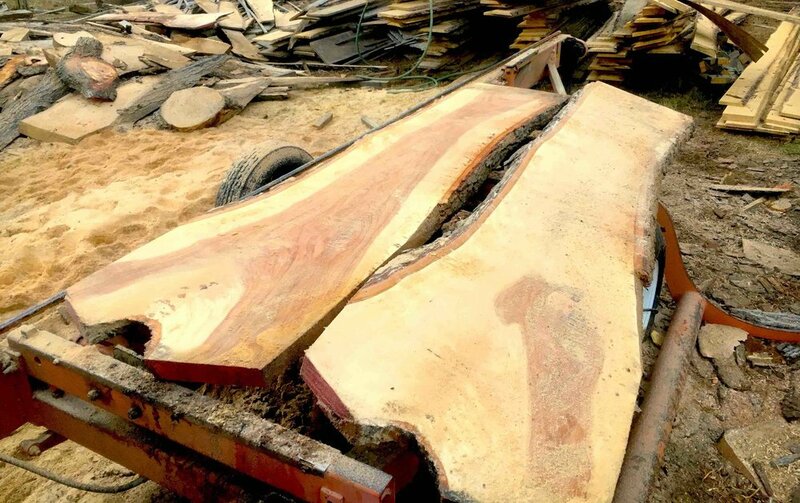 See our Custom Milling and Portable Sawmill Services for pricing and details. 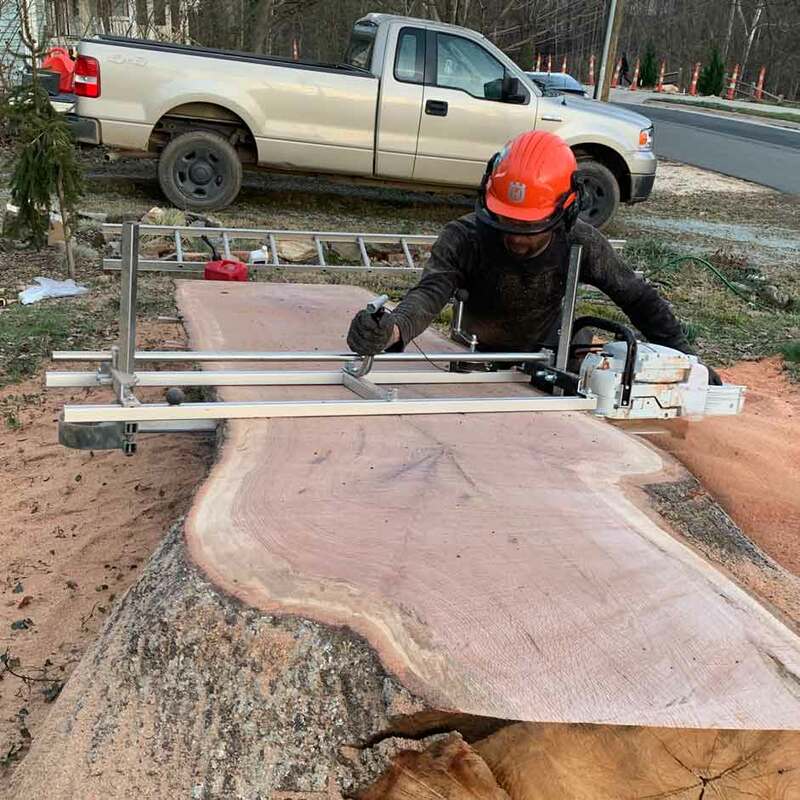 For hard-to-access or large logs, we use a chainsaw mill with a 56” maximum width capacity. See our Custom Milling and Portable Sawmill Services page for pricing and details. We work with local cities, towns, and businesses to process timber for building and park projects.